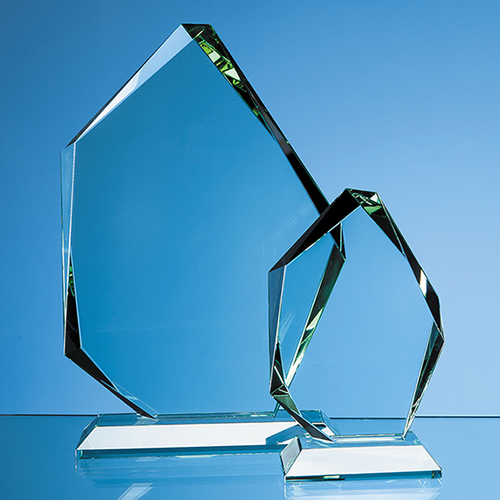 The Elite awards are made from 19mm thick jade glass and are ideal recognition, achievement or incentive gifts. The modern facetted shape of the award looks great when engraved with logos and wording. They are available in 3 sizes and are supplied in a black foam lined presentation box.